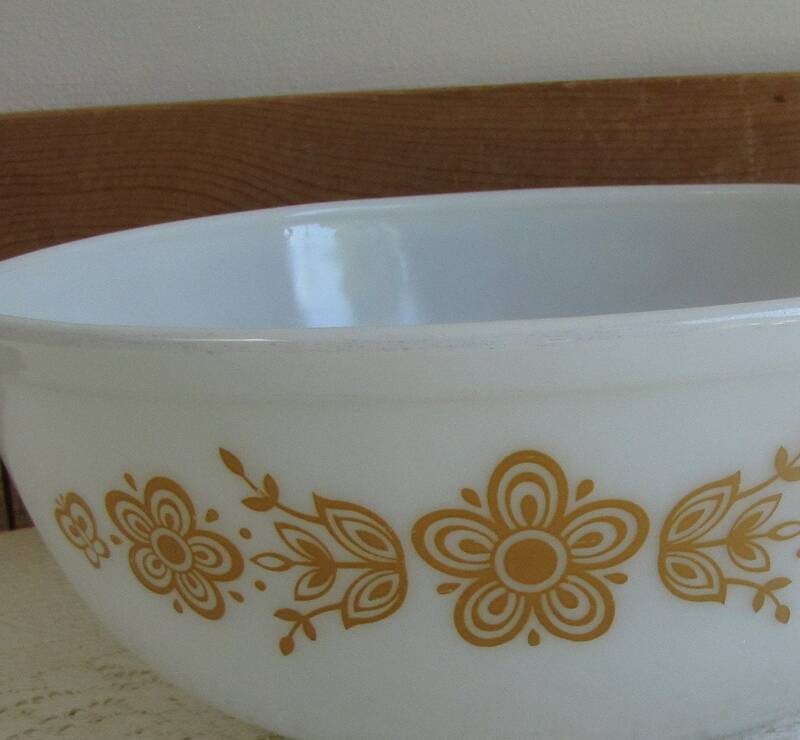 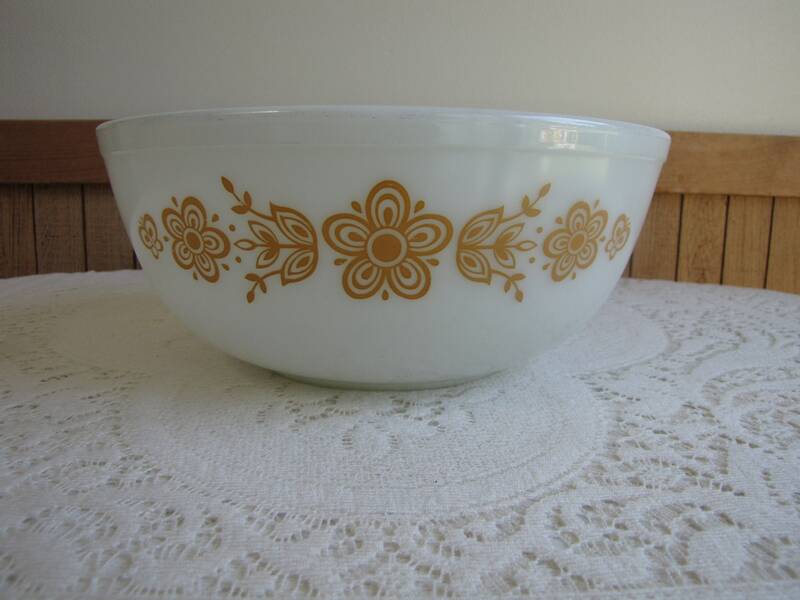 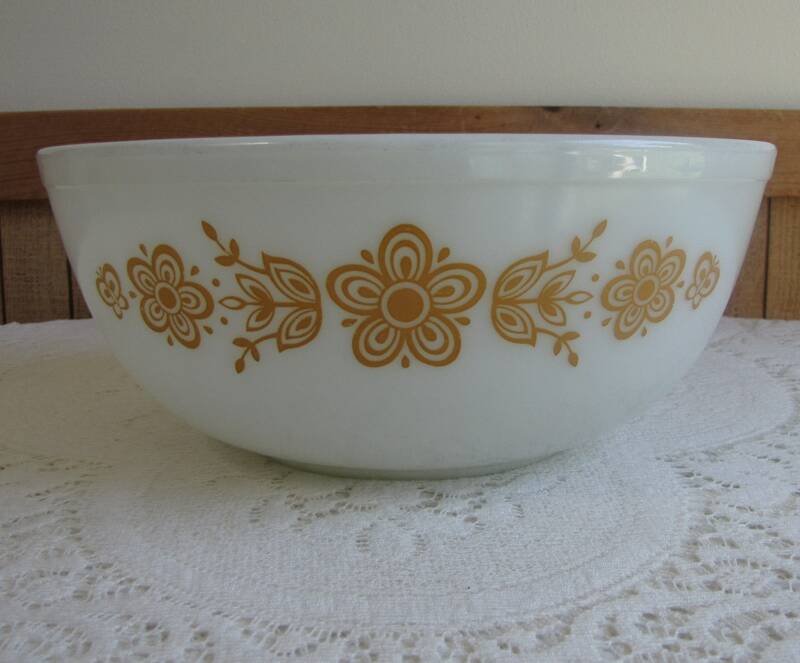 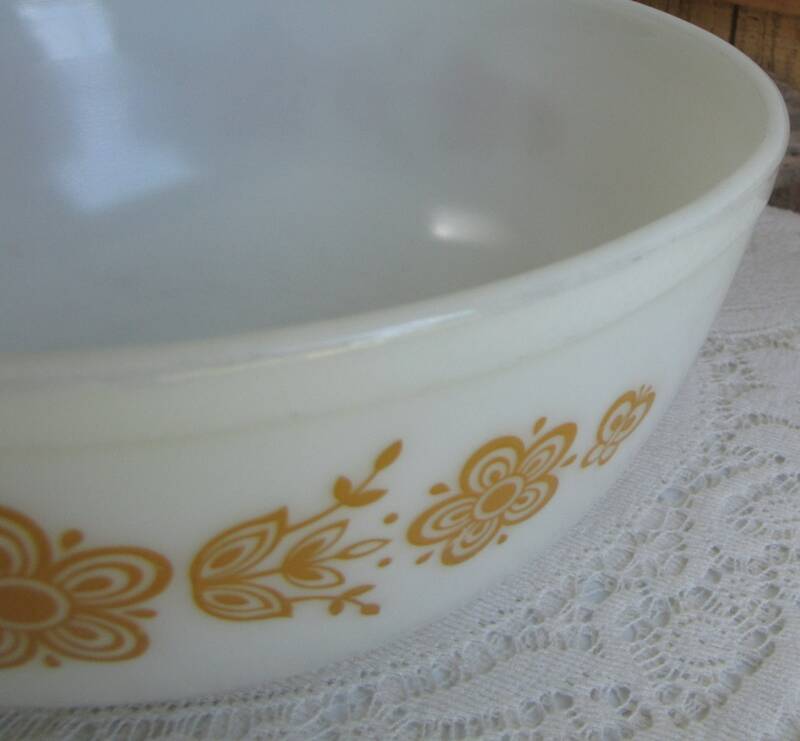 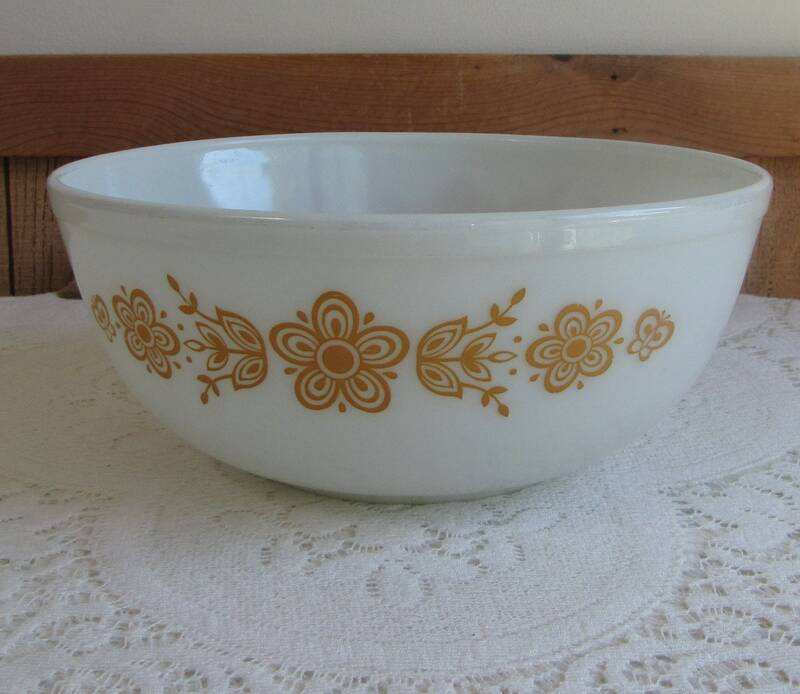 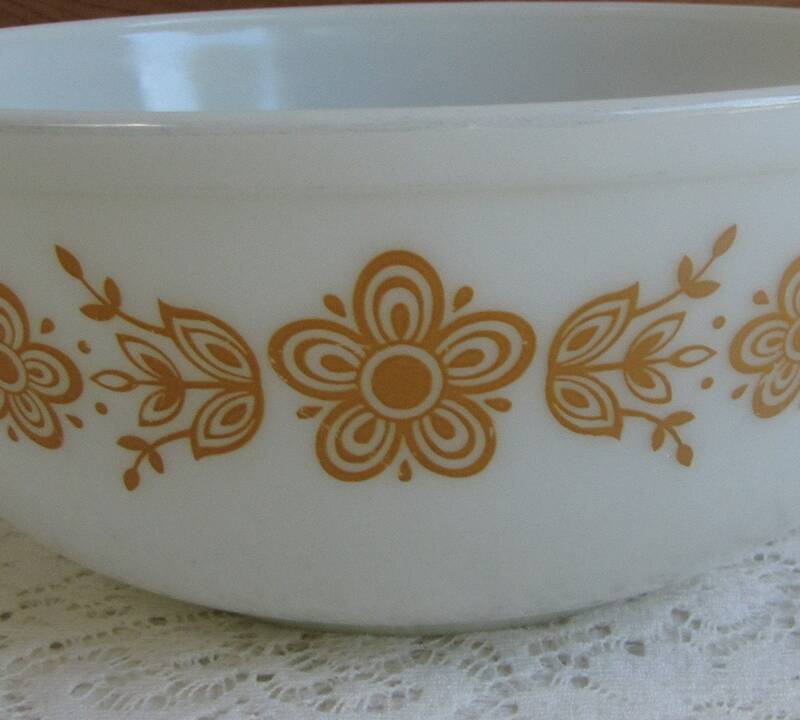 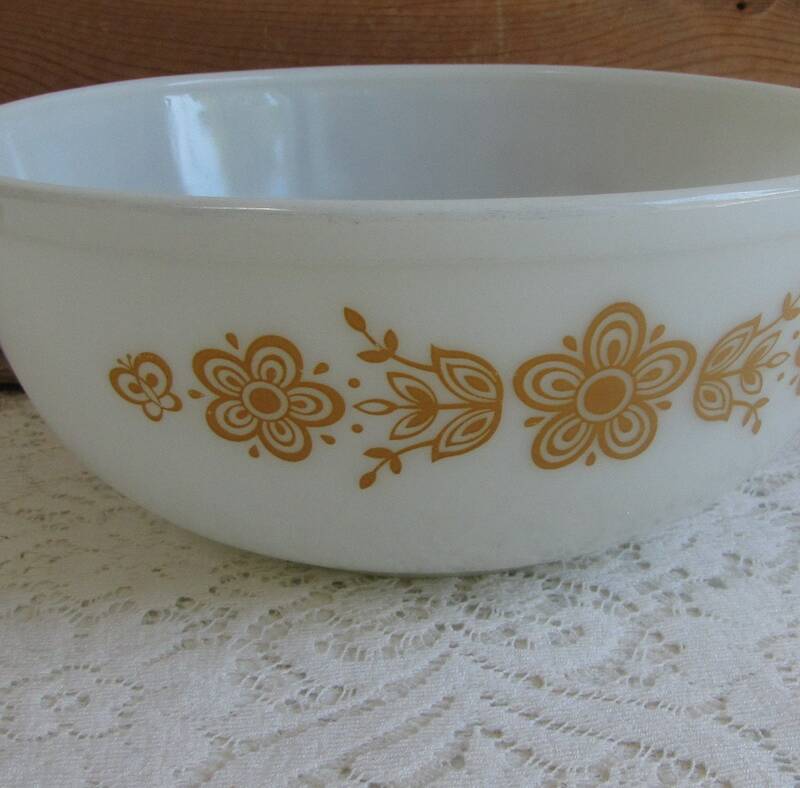 The largest (10.5 inches in diameter) in the mixing bowl set of Pyrex’s Butterfly Gold. 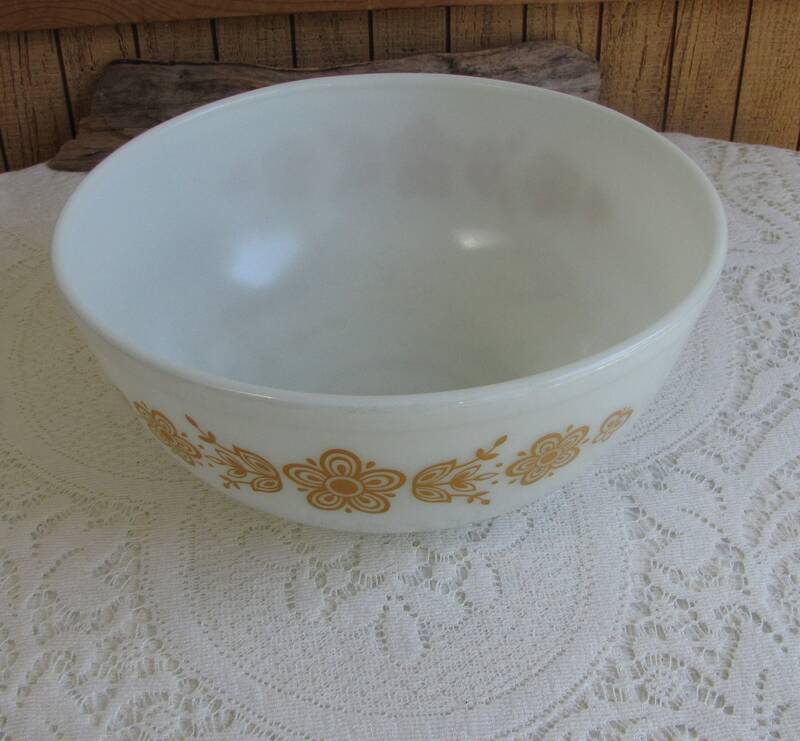 The bowl is in good vintage condition with no chips or cracks. 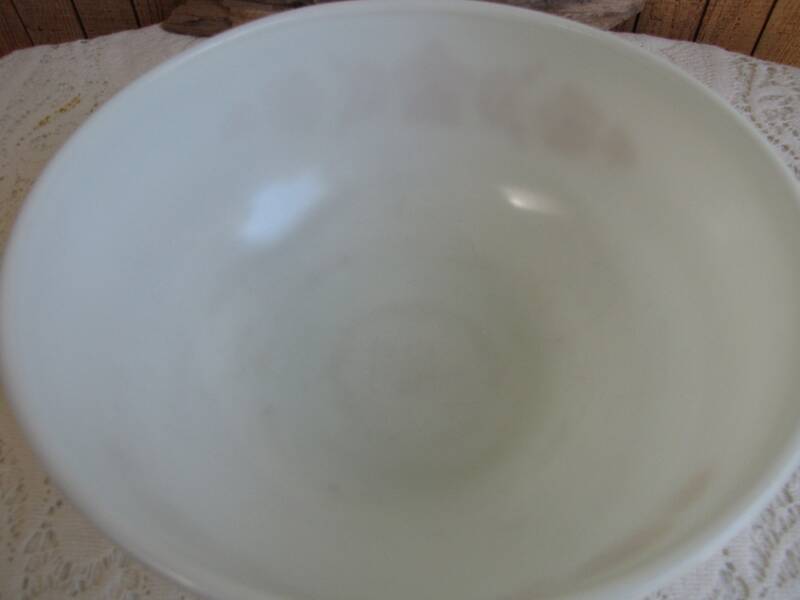 The bowl has some gray utensil marks and some light scratching in the butterflies (see pictures).